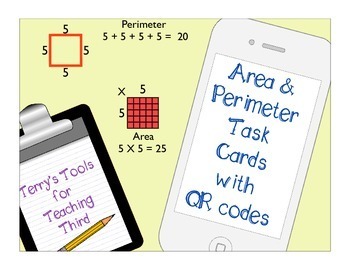 This activity includes 28 task cards where students are solving problems with area and perimeter which include pictorial models. 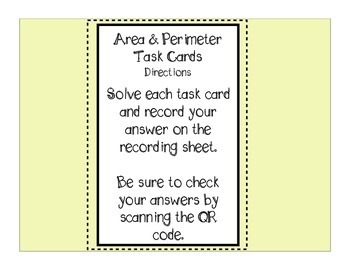 Each task card has a QR code so that students can check their answers. This activity also includes a recording sheet and an answer document in case there are no devices available to scan the QR codes. Several task cards require higher order thinking. They are given the perimeter and have to work backwards to find a missing side length or they are given the area and have to find a missing side length. There are also tasks that require students to find the total area of two combined figures. 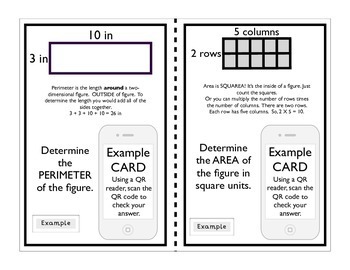 Some Area task cards show square units, while other task cards require students to multiply the number of rows times the number of columns. This activity can be laminated and used year after year. This activity is great for small group intervention, or for math stations. You could also use this as a scoot activity.